G-d sends us messages every day. He answers your prayers – one has to be observant of their surroundings to notice it. There is a Joke. A guy was looking for a parking spot. He was running late for a meeting. He prayed for a parking spot. “G-d please help me find a parking spot soon. If you do, I will be more careful to observe your commandments! Please help me!” He turns the corner and finds a the perfect spot right in front of his destination. “Wow, what a coincidence!” He says. Finding a parking spot could be an answer to your prayer. I remarked that when I pray sincerely and specifically – about finding a parking spot quickly upon arrival to and close to my destination, I find them more quickly than when I do not. Anyway, last night I was preparing instructional materials that explained that Hash-m / G-d Loves people.I searched for a nice looking heart graphic. This morning – I prepared eggs for breakfast. I cracked one after the other. In one I cracked by the more narrow part of the egg. I dropped the yoke in a cup – to assure there were no traces of blood in the egg. Then I put the egg from the cup into into the pan. I looked at the shell. 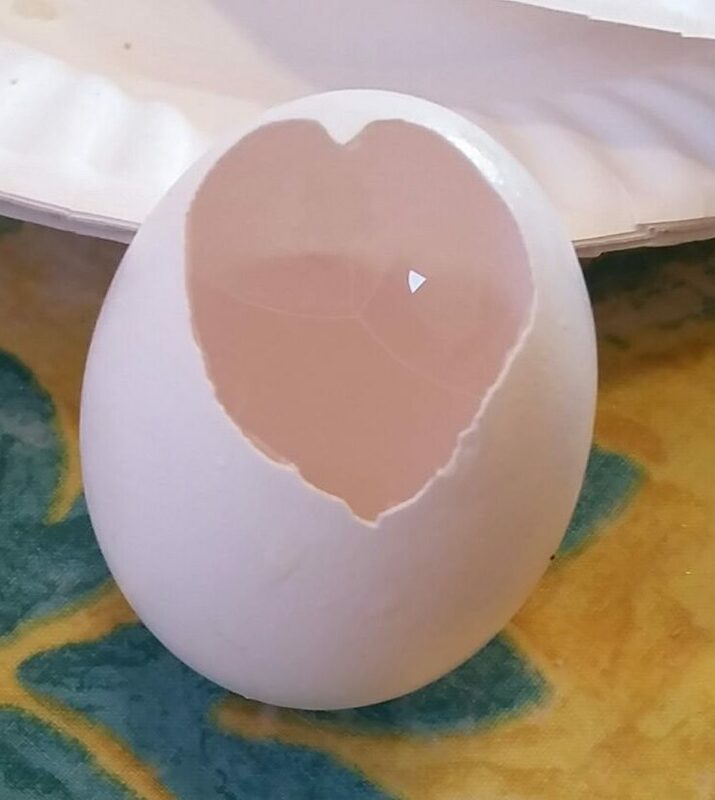 I noticed that the hole in the egg was in the shape of a heart. One can brush things off as coincidence or he can notice the prayers being answered – this is one way we develop a relationship with the Creator. Noticing the little things that happen to us due to our prayers. Noticing all our blessings is another. Who loves you the most? G-d does. You Just Have to take the time to notice all the good He does for you and each and every one of us on a daily basis. This entry was posted in Connecting to God, Emunah - Faith in G-d by admin. Bookmark the permalink.